Earlier today, we informed you about the upcoming Motorola Milestone ROM for Droid, which promised to bring all the multitouch goodness including pinch to zoom and tap functionality to the web browser, pictures and Google Maps app over to the Droid on Verizon. The alpha version of the said ROM is now available for download from AllDroid forum. This custom ROM for Droid is based on the original stock Android 2.0 ROM which Motorola Milestone is shipped with. For those of you who don’t know, Motorola Droid on Verizon Wireless in US doesn’t support multitouch functionality in most apps even though the hardware is fully capable of running it. This is probably due to the US iPhone patents as the upcoming Google Nexus One phone will also have no multitouch functionality in browser and Maps app. The European version of Motorola Droid, called Motorola Milestone is fully capable of pinch to zoom and tap functionality just like the iPhone is. Step 1: Download update from <URL goes here> and unzip it to an empty directory on your computer. It contains the makings of a nandroid backup of just /system. Step 3: Use ADB to push system.tar and nandroid.md5 to the directory you just made. Its syntax is "adb push <local_path> <remote_path>"
Step 4: Create a nandroid backup by the method of your choice, either with the menu options in SPRecovery-0.11.1 or higher, or with "nandroid-mobile.sh –backup –norecovery" in SPRecovery-0.10.1 or higher. Step 5: Use nandroid to "restore" the "backup" of the multitouch: "nandroid-mobile.sh –restore –subname miledroid-rom"
Step 7: Reboot and enjoy the ROM! The only known issue in this release is the GPS, which is said to be not working. More details on the ROM, including the link to download it can be found here. 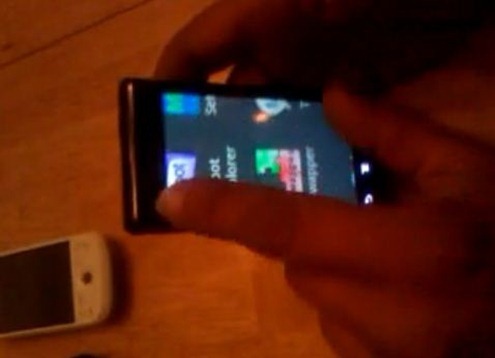 You can see it in action on the Droid in the video found here.